​for the 2019 - 2020 School Year! ​​Join the band by selecting it as one of your electives!!! Congrats Jazz Band ​for earning SUPERIOR ratings at the 2019 Florida Bandmasters Association District 16 Music Performance Assessment on Saturday, February 23rd, 2019 at Coral Reef High School. This fee is used to purchase instrument parts, maintenance, or to off set normal wear repair costs. 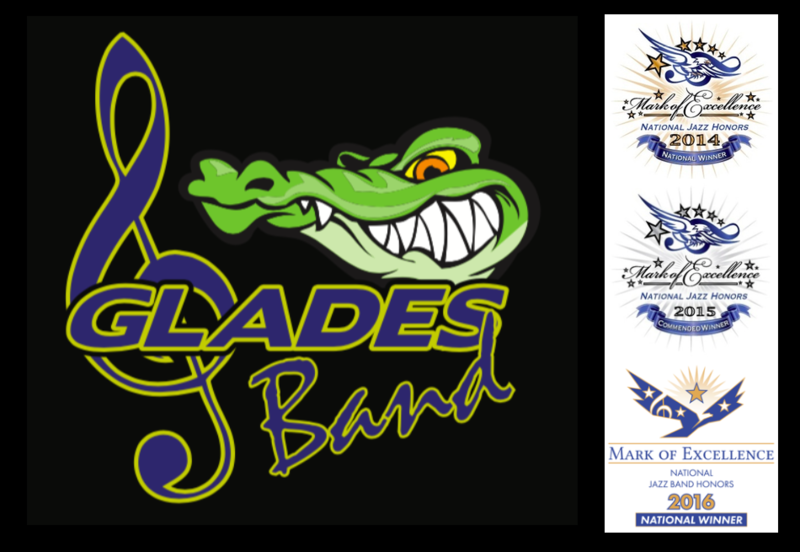 ​​Use one the PayPal link to support the Gator Musician Support Fund (GMSF) and the GLADES Middle School Band. Congratulations to the Glades MS Wind Symphony and Jazz Band on a job well done at the Festival Disney on March 10 - 11, 2017 and for earning the Best In Class and GOLDEN MICKEY AWARD!